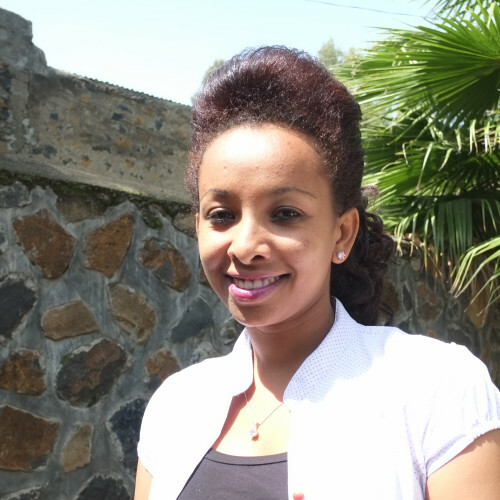 Home » Blog » Insight into Link Ethiopia’s Gondar Office! Written by Alan Taylor and Elsa Kebede. In order for Link Ethiopia to ensure that their work is as effective as possible, they must be well-connected in that country. 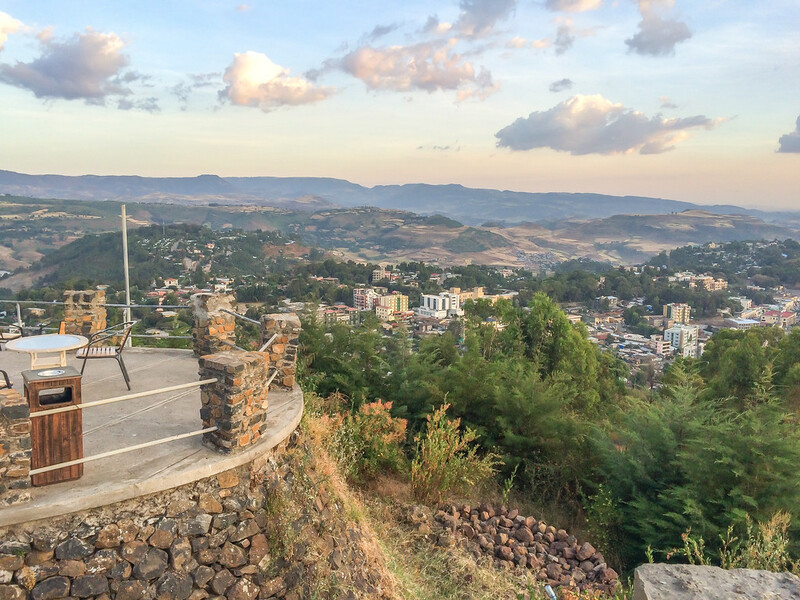 This is why apart from the London office, Link Ethiopia has two larger offices in Ethiopia: one in Gondar in the north, and one in Bishoftu in the south. Having a strong presence in Ethiopia means that Link Ethiopia are incredibly aware of the work that needs to be carried out, and are able to constantly update their UK supporters about the progress of the projects being undertaken, such as the Child Sponsorship programme, the School Links programme, and school renovation projects. Thus, the offices in Ethiopia are an integral part of the charity, but one that UK supporters often know little about. This is why we decided to interview Elsa Kebede, one of our charity workers in the Gondar office, to find out a little more about her and about the work being conducted in Ethiopia. What were you doing before, and what attracted you to make the change? Teaching English at elementary and secondary school. At the elementary school I was the Link co-ordinator so I knew about Link Ethiopia’s objectives and wanted to spread the benefits to many schools with Link Ethiopia. And now, what attracts you stay in the job? Every year is interesting – school links, infrastructure projects, and now thematic projects like the library and literacy project widen the scope and help more children learn English. As a teacher this was always a problem even in grades 9 and 10. And as we work with more schools we can help more children. Also we have developed a family relationship between staff in the UK and London, and that too motivates me to stay. What has been the greatest challenge you have had to face? Sometimes the government changes requirements too often, e.g. the rules on volunteering and 70/30 funding. Is there such a thing as an average working day? What does it look like? Ideally I work closely with each of the link departments to ensure everything is on track, checking the accounts and finance, and working with the UK office. I also have to ensure that regular financial and physical reports are prepared and submitted to stakeholders on time. Working with government and regional offices to validating the last five years’ projects – checking the finances and explaining the differences compared with the previsions – and working on plans for the next three years. We are also developing new projects such as on girls’ education, etc. What is it like working in collaboration with the UK office? Very friendly. We have different business cultures, which is energising. We cooperate well. Where do you see Link Ethiopia going in the future? In 20 years, say? I want to provide facilities and resources for lots of schools. Especially I want us to work with the government to have a sustainable impact on education for female students in particular through teacher training, with good techniques spreading to all schools in Amhara region – and beyond. I hope we will always support schools for quality education. And, finally, what has given you the greatest personal satisfaction working at Link Ethiopia? Never even for a day does Link feel like an organisation which employs me. Staff are energetic and share a vision, sometimes even working at evenings or weekends. Stakeholders say we are not like other organisations, more like a family with the school community and beneficiaries. Above all, it is great to see kids benefitting, their lives changing because of our work – from clean water to better teaching. I remember one girl, a good student, who saw little future at school, became depressed, dropped out and disappeared. She was going to work in a remote village as a servant, but Link Ethiopia was able to get her back to school. Her results were good, and now she is a third-year nursing student in private college. There are so many other stories like that. That is what I like.